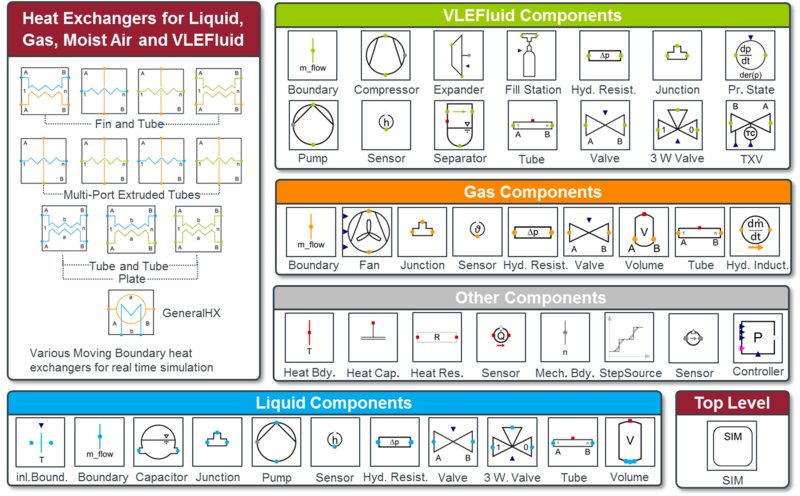 The Thermal Systems library and the TIL Suite are Modelica libraries for the modelling of thermo-fluid systems. Specific applications include: refrigeration cycles, heat pump systems, hydraulic networks, heating, ventilation and air-conditioning systems, fuel cell systems. 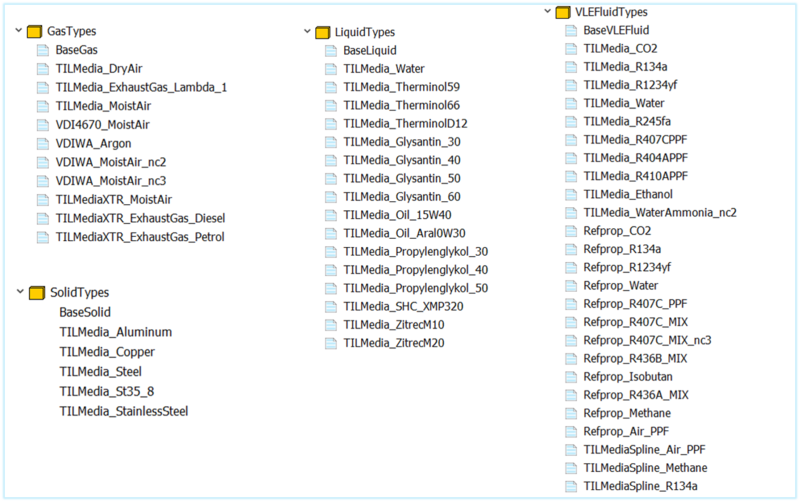 For an efficient calculation of thermophysical properties of liquids, gases, real fluids containing a vapor liquid equilibrium and mixtures, the Thermal Systems library uses the TSMedia library. TSMobileAC is a library specifically for the modelling of vehicle cabins (car, bus, train, transportation), driving cycles, vehicle cooling systems. In order to visualise the simulation results the software DaVE can be used. DaVE enables easy generation of thermodynamic state charts for fluids (e.g. ph, pv, pT) and Mollier diagrams for moist air. The software is suitable for both post processing and online display. TSMedia provides models for the efficient calculation of thermo-physical properties of media (i.e. working fluids). TSMedia includes its own implementations of the media properties, some of which are real-time capable. It also includes interfaces to established material data libraries, such as REFPROP. TSMobileAC is an additional package for mobile air conditioning.